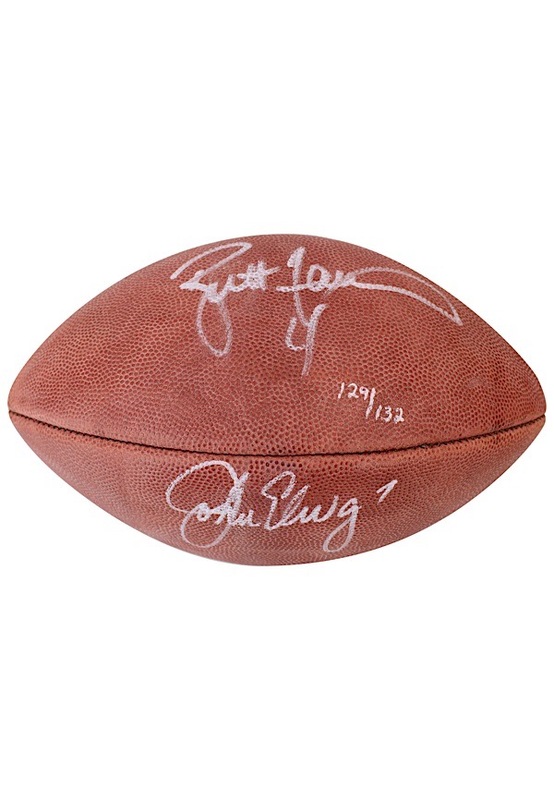 Wilson official “SUPER BOWL XXXII” football dual-signed by John Elway and Brett Favre. 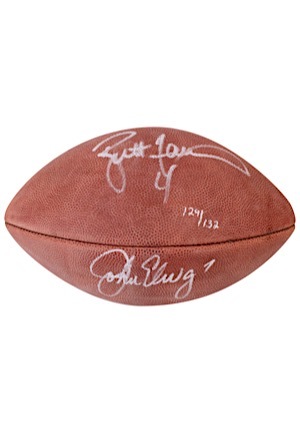 The players signed on different panels in silver marker and in our opinion the signature rates a combined 7.5. 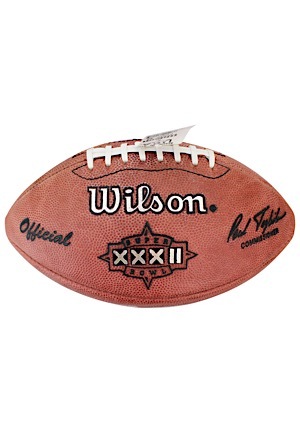 The ball is numbered “129/132”. Accompanied by a LOA from JSA.